This story is from Young Children & Worship book and it is very similar to the Godly Play story of the "Exodus." 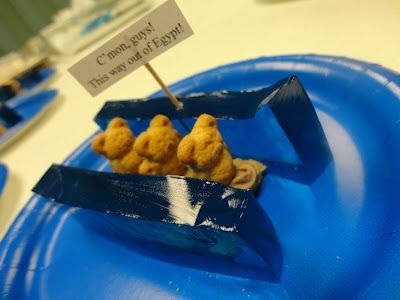 A cute, fun and yummy way to create the parting of the sea. This is a video of the Exodus story from the Godly Play Volume #2 book. A fun activity for the children when they attempt to cross the sea without popping the balloons.